He gave his life for tourism. The Valley of the Kings is cleft in craggy limestone a few miles from the Nile river valley, and each year thousands of international visitors flock to the site just outside the Egyptian city of Luxor to have a look at it. They come to see the 60-some burial sites of some of ancient Egypt’s most important pharaohs, including Thutmose III and IV, Amenhotep III. Some believe the tomb of Egypt’s greatest pharaoh, Rameses II, might also be there. King Tutankhamun or, more familiarly, King Tut. Tut has risen to pop stardom because his elaborate and glittering tomb in the Valley of the Kings is one of the few from the long pharaonic period to have gone untouched by grave robbers, and the treasures within, along with Tut’s undamaged mummy, have fascinated millions. In a sense, we went to see Tut today, on the fourth day of our Nile River cruise, but Tut was not at home. Like many rock stars, he was out making millions by touring. Tut’s body at the moment is in Paris, the second stop of what Egyptian authorities have vowed will be the final world tour of the mummy: “Treasures of the Golden Pharaoh”. Tut did major museums in London and Los Angeles, among many others, from 1977 to the present day, and still attracts enormous crowds. His final tour was in Southern California last month, is in Paris now and will do London and Sydney before the tour ends in 2021. We journeyed with Nile River shipmates to the Valley of the Kings in part because of King Tut, but he and his stunning golden death mask and golden chariot and scores of other funerary decorations were, as noted, not home. We could have entered his burial chamber; it was open today, but at the moment it is little more than a deep hole in the ground; practically nothing of Tut’s is there. We were able, however, to see some of the splendor of nearby tombs, the paintings still bright on the walls in subterranean settings, and we were joined by dozens of busloads of tourists on a bright, hot day. 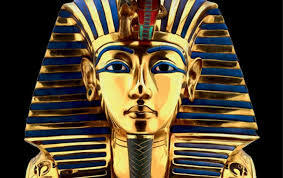 Turns out, Tut’s body will not return to the resting place where he slept for thousands of years; instead, he and the objects found in his tomb will be installed at a new museum near Cairo around 2023, a century after his coffin was opened by the British archaeologist Howard Carter. It is hoped the new Tut museum will bring many more tourists through the Egyptian capital. This is a bit silly, but a song by the American comedian Steve Martin became popular in the late 1970s after he performed it on Saturday Night Live. And in the middle of the song is the most accurate description of Tut’s career, this century past. Egypt has benefited from his sacrifice.